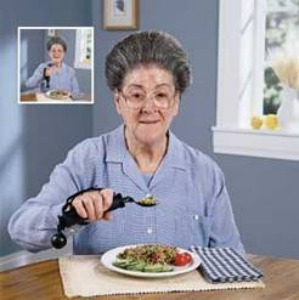 The weight of the utensil decreases hand tremoring and enables you to eat independently with more control of the utensil. 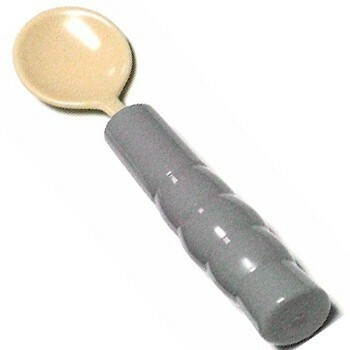 The heavy gray, vinyl handles have indentations to fit the fingers for easier and more comfortable grasping. The fork tines, spoon bowls and the knife blade are all made of stainless steel. 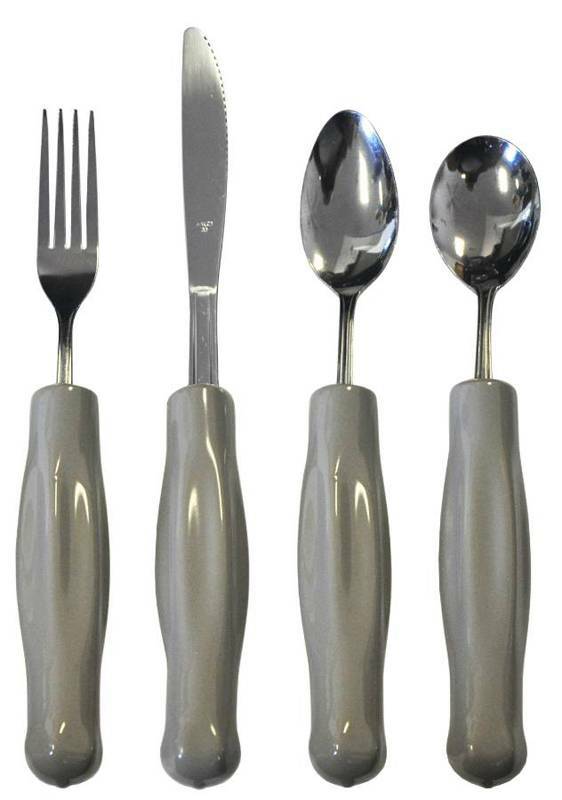 The utensils are available in two different sets: Set of four includes the knife, fork, teaspoon and soup spoon. 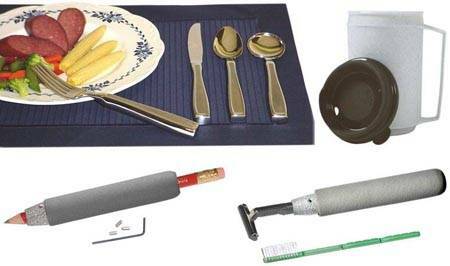 The set of five includes all of the previous plus a tablespoon. The weighted utensils are dishwasher safe. Please shop carefully, these utensils are not returnable.